Heroes, Heroines, and History: Bungee Jumping, Land Diving, and Human MayPoles. Oh My! Bungee Jumping, Land Diving, and Human MayPoles. Oh My! But did you know that "bungee jumping" is not a new sport? 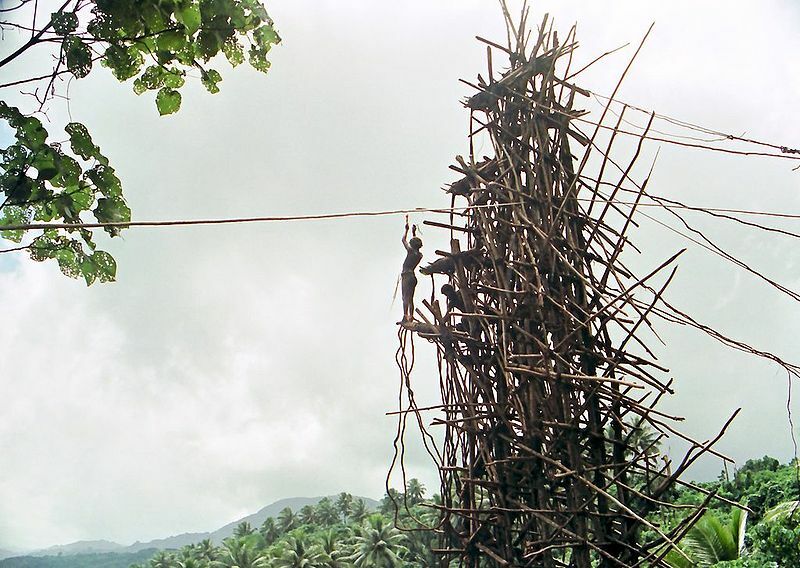 There is an ancient ritual in Pentecost Island in Vanuatu where young men tie vines to their ankles and jump off tall wood platforms. This is a test of courage and a rite of passage into manhood. And, unlike our modern-day bungee-jumpers, land divers intentionally hit the ground (gulp! ), but the care and precision taken to select the right vines at the right time of year lessen the impact so that the impact is non-lethal. The best time of year for land diving on the island is during the yam harvest because the lianas (the vines) have the most elasticity during this time. Land diving is based on a legend about a woman named Tamalie who ran away from her husband and climbed a banyan tree. 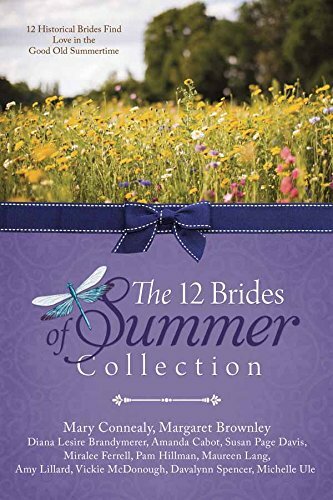 When her husband followed, Tamale tied the vines around her ankles and jumped. Her husband jumped as well, but didn't secure himself with the vines. According to the legend, Tamalie survived, but her husband didn't. During the preparation for the land diving, the men seclude themselves and don't go near the women. And the women are not allowed to go near the tower, or else Tamalie, who lives in the tower, might seek vengeance, which could result in the death of a diver. The men who are going to land dive must not wear any lucky charms during the dive. It typically takes two to five weeks to construct the tower, with twenty to thirty men building it. They cut trees, clear the site, and remove rocks from the perimeter around the tower. The soil is tilled to soften the ground, hoping to give the divers a bit of a softer landing. The wood is freshly cut, so that it is strong and supple, and the center of the tower is made from a tree that has had all the limbs lopped off. Pole scaffolding is tied together with vines to stabilize it. Platforms of varying heights are built into the scaffolding, the lowest being around 32 feet, and the highest platform near the top, which could be from 68 to 98 feet. The platform is made to bend and sway without snapping, so that it absorbs some of the force during a jump. A village elder selects the vines and matches them with each jumper’s weight without any mechanical calculations. The vines need to be supple, elastic, and full of sap in order to be safe. The ends of the vines are shredded to allow the fibres to be looped around the ankles of the jumpers. If the vine is too long, the diver can hit the ground hard, but if the vine is too short, then the diver can collide with the tower. Before diving, the men often bring closure to unsettled business and disputes in case they die. The night before the jump, divers sleep beneath the tower to ward off evil spirits. Almost hard to believe, but there have been only two reported fatalities on the island. In 1974, Queen Elizabeth II of Great Britain visited Vanuatu and observed the ritual of land diving. The British colonial administration wanted the queen to have an interesting tour, and convinced the Anglican villagers of the Melanesian Mission at Point Cross to do so. However, the vines were not elastic enough because it was the wrong season, the middle of the wet season. Both lianas broke for one diver, and he broke his back from falling, and later died in a hospital. Until 2006, when a diver broke his spine after landing badly and subsequently died in the hospital, this was the only fatality in memory. A similar practice, only with a much slower pace for falling, has been practiced as the Danza de los Voladores de Papantla or the 'Papantla flyers' of central Mexico, a tradition dating back to the days of the Aztecs. I witnessed the Papantla flyers last November in Cozumel, Mexico. According to our guide, Ricardo (who you'll see in the video), the flyers must be descendants of Papantla flyers from Papantla, Veracruz. The Papantla flyers exciting and colorful performance was a rain dance, according to our guide. Ten years ago, I was terrified my son was going to break his neck when he bungee jumped in a very safe environment, with a huge safety-enhanced air bag beneath him. I was impressed by the Papantla Flyers and couldn't imagine falling off that platform backwards and twirling all the way to the ground like a human maypole. Pam's latest novella, The Lumberjack's Bride, in the 12 Brides of Summer Collection has no bungee jumpers, land divers, or flying Papantlas. But it does have a hunk of a lumberjack who rescues a city gal from a fresh cut pine tree. Can anybody say TIMBER???? CRAZY!! Thanks for sharing. No bungee jumping or pole twirling for this lady, thank you! How could you watch your kid do that? My heart would drop if I saw my kids do that. It's so fascinating learning how this sport came to be....much, much safer now. And that Maypole dance was amazing....although it made me dizzy watching it. I bet watching your son bungee jump would be scary. I haven't witnessed that, although I have several boys who would bungee jump in a heartbeat, given the chance. So once those Papantia flyers landed, were they dizzy? Sounds like you had a fun trip. Vickie, they didn't seem to be dizzy at all. But the upside down part. Now, my head would have been spinning for sure!